Dayton Beer Company | More Than Just Beer. It's An Experience. And just steps away from Fifth Third Field. 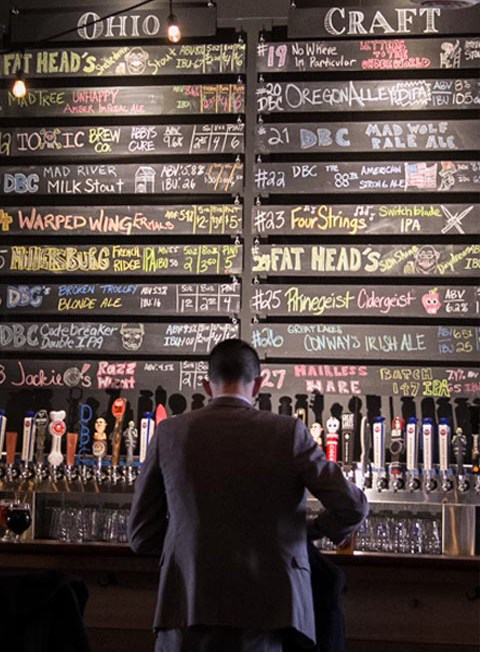 Of course, award-winning Dayton Beer Company beers are always on tap at both our main bar, which features 36 Ohio craft taps, and the new outside bar. We love to showcase the quality beer that is produced throughout the state of Ohio, from large and well-known breweries to small batch operations just beginning. 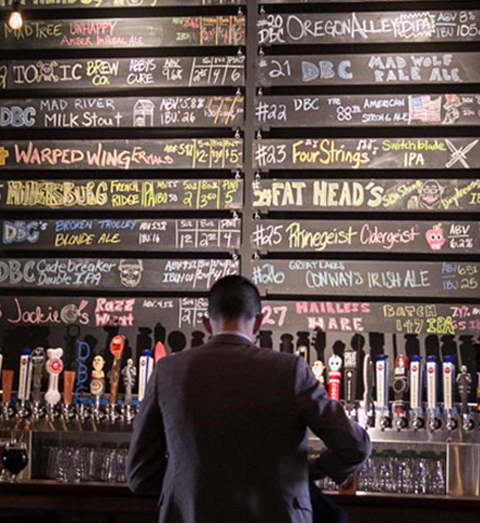 That’s why we round out our 36 taps with a carefully curated, constantly changing selection of guest taps that is sure to please any palate.For the non- beer drinker, we offer wine by the bottle as well as Coca-Cola products. The rustic industrial aesthetic of our patron space is brought to life through our German bier hall style seating and expansive bar, both hand-crafted from over 100 year-old locally sourced reclaimed cedar. Polished concrete floors, gleaming stainless tanks and glass garage doors round out the setting. Once the weather warms, customers can enjoy a drink on our 1,000 square foot patio or in the Bier Garden. 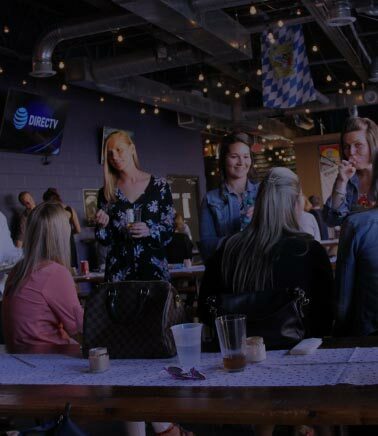 The Dayton Beer Company’s Madison Room is a popular venue to host a variety of private events, ranging from rehearsal dinners to corporate happy hours. This space has a maximum seating capacity of 75 people, with a variety options to create a space that will suit your event needs. For more information, please click here. Ever wondered what goes best with one of our brews? Come visit us at our Downtown Dayton location for a slice and a pint and find out what you’re missing out on! 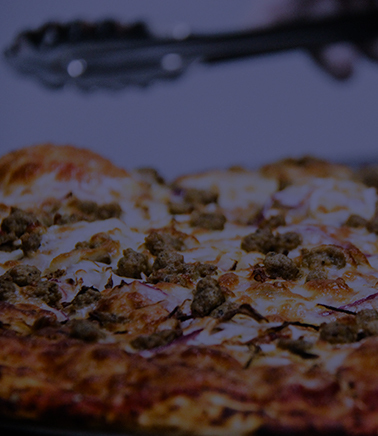 Our in-house restaurant located within our downtown location serving fresh made to order pizza and submarines. 2nd Street Marinara topped with our three cheese blend of Provolone, Mozzarella, and Muenster topped with your choice of our shredded and seasoned grilled chicken or our hand sliced Bavarian ham, loaded with sweet Pineapple chunks and Parmesan cheese.